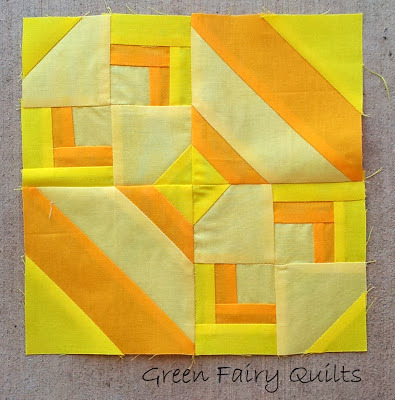 Green Fairy Quilts: It's my turn.. The super talented Amy of Diary of a Quilter is hosting this awesome quilting bee. 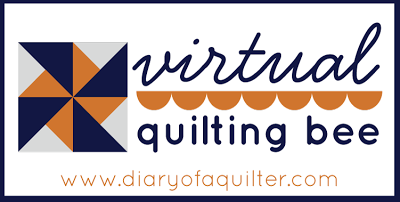 I was asked to contribute a block design for this virtual quilting bee and I am so happy to be a part of this. She has had several other contributors before me - you can see all of the blocks here. It was fun drawing up an 8 inch block design and I really loved how mine turned out. 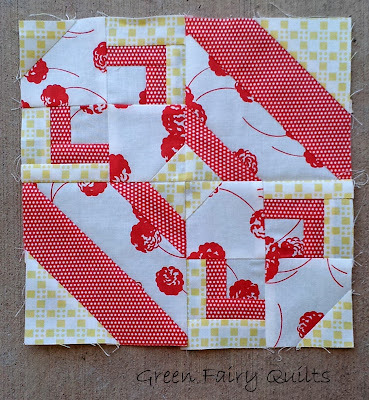 If wishes were fishes right now, I would have made a whole quilt out of this block. I will show you at the end of this post just what it would look like. 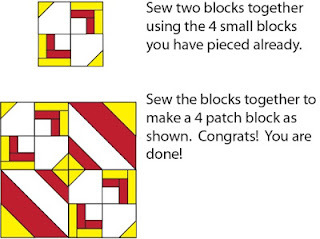 But, don't get distracted by my block - go and join the quilting bee's Flickr group here and start on your blocks now. 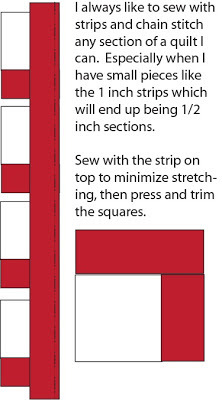 It is going to be an awesome quilt with all the different blocks. 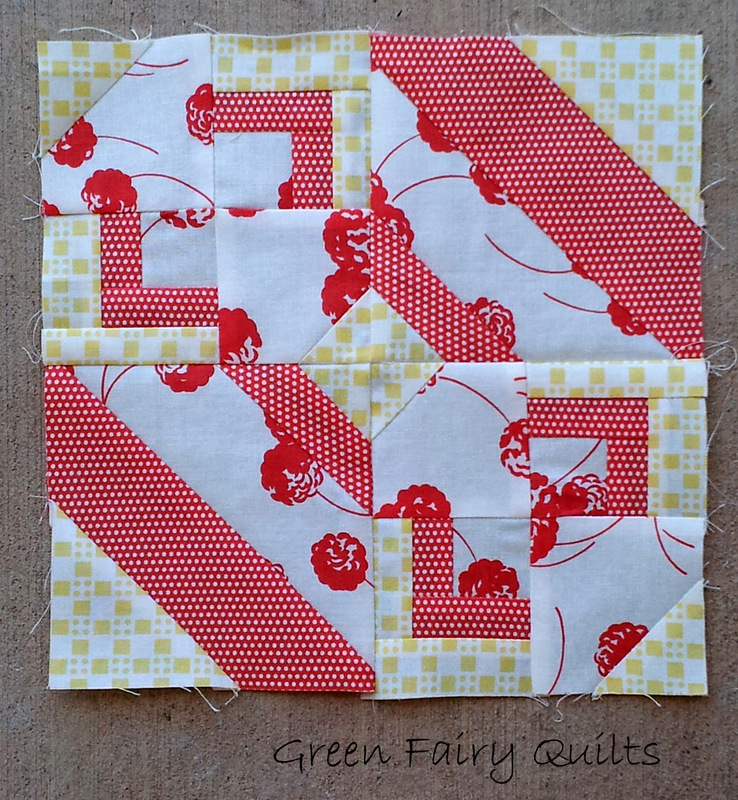 Here is my block in Camille and Bonnie's Happy Go Lucky fabric. 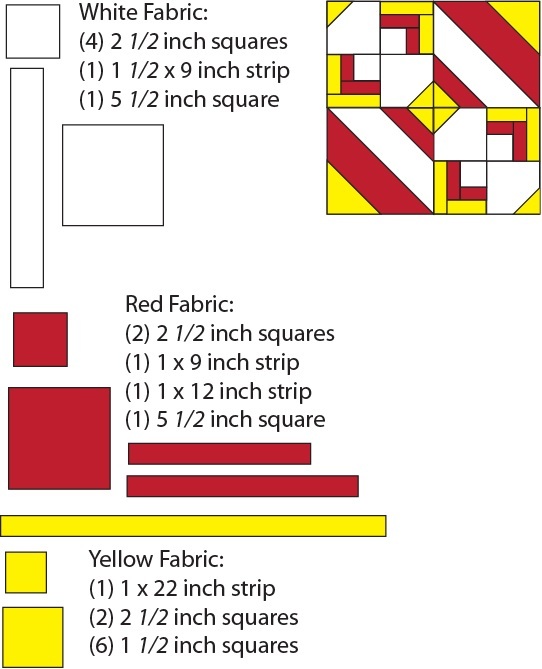 I love the yellow, white and red together - pretty sure I am going to make a quilt out of this color combo, I just love it! Hopefully that all made sense! 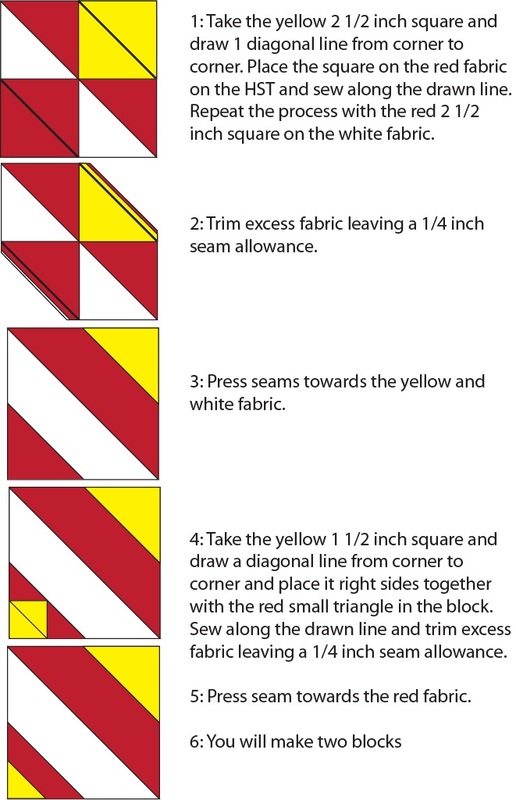 So this is what my block would look like in a quilt - I think it is pretty awesome. Oh, the quilting I could do on this! 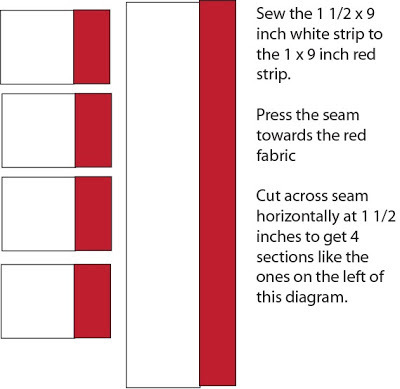 Anyway - go and check out Amy's blog, I happen to be giving away a beautiful stack of fabric over there as well. 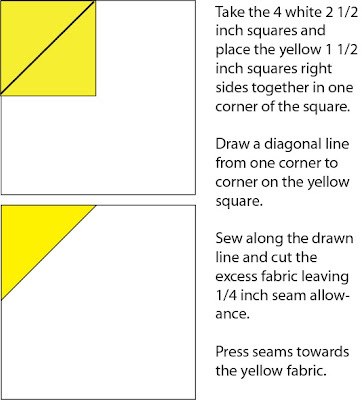 I hope you enjoy my block, happy quilting bee! Side note, we have eleven, yes 11 new lines of fabric in the shop. Check them out here. Wow what a great looking quilt this would bee. This is just wonderful! 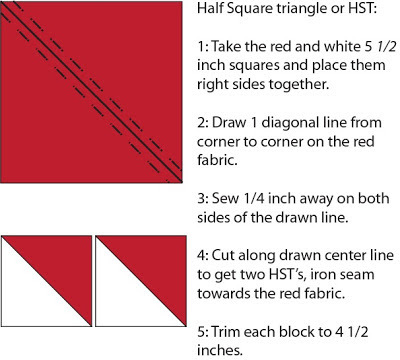 Thanks for making such a great block for the quilt along. I can't wait to try this one! Wow! It looks great! It is amazing how these computer generated quilt pictures turn out and inspire! 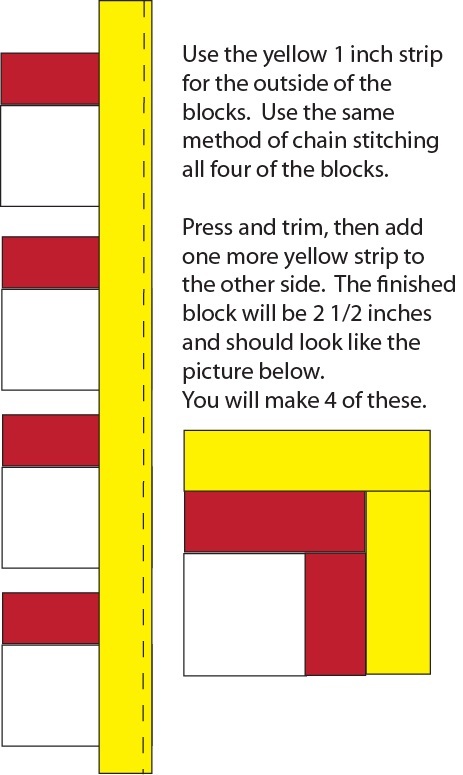 Love this block Judi!! Absolutely fantastic!! Love your block!! This one certainly deserves a quilt!! Snap!!! I love this block! That quilt would be stunning!!!!! Thank you for sharing. This looks amazing when it's all laid out!! Definitely trying this out! The full quilt version of this block is AMAZING!!! I might have to add to my very long to do list as well! Thanks again, Judi. I subscribe to your newsletter and liked you on FB too. Great looking block and quilt! Thanks for the tutorial. 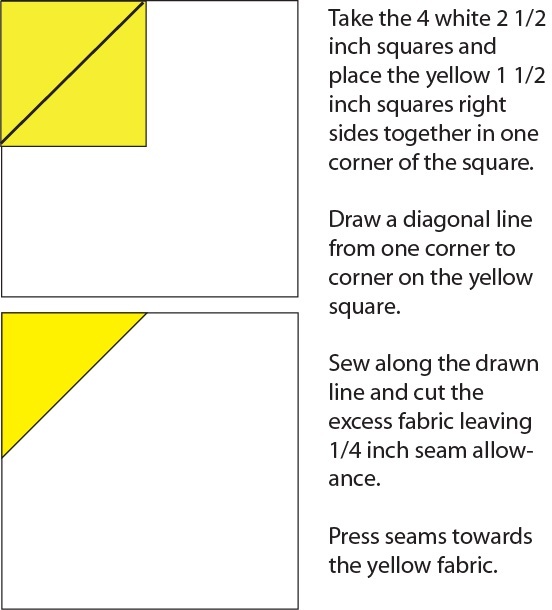 Judi, what software program do you use to "preview" what the block would look like made up into a whole quilt? Is that EQ7 or something else? I have so much trouble envisioning how a block will look repeated like that, and the secondary patterns that develop depending on color and value placement, etc. Yours looks like it has cute little spools of thread and I LOVE that! Thanks for the great tutorial! I just finished my block and I really love it. The middle looks like a little spool!